re:Invent offers four days (give or take) to rub backpacks with about tens of thousands of your fellow developers, builders, entrepreneurs, and the generally cloud-obsessed. Converted to joules, that’s enough nerd heat to power Las Vegas for at least a month. It would take another several months just to take in all the technical sessions, hackathons, labs, pub crawls, and wing-eating contests on offer at re:Invent. And you have only a few days. Point is, use your time (and joules) wisely. 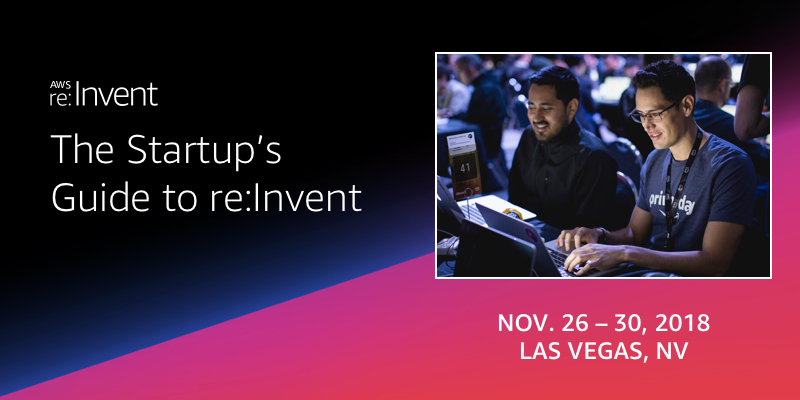 This year at re:Invent we’ve designed a set of technical sessions, speed networking activities, mentorship opportunities, and straight-up fun for the startup entrepreneurs (and would-be startup entrepreneurs) attending re:Invent. Most of it happens at The Quad in the Aria, within a space called Startup Central. Think of it as a sort of startup VIP area. We do. So, what do you get? re:Invent is a technical conference, and these are mostly technical sessions that describe how some of the smartest startups out there are building what they build. They’ll dive deep into what works, and where they went wrong. Do you have to be a startup jockey to get something out of these sessions? No. You just need to want to operate at the speed and scale that the fastest growing startups do. And who doesn’t want that?